Listowel Races 2018 is another great week of horse racing and other fun activities. Listowel Races, also known as Listowel Festival of Racing or Listowel Harvest Festival is the last festival meeting of the racing Calendar year. It is a mixture of great flat and National Hunt racing with top horses, trainers and jockeys coming from all over the country and some from abroad. It marks the final stages of the flat season in Ireland and the beginning of the proper winter national hunt season. There are some great races with very big prize money which makes it one of the great racing festivals in the country. The best known race is the Guinness Kerry National which is one of the top handicap chases of the year in Ireland. The prizemoney for this race is €200,000 with the first six getting a share of the winnings. This attracts the top handicap chasers in the country to make a great spectacle. 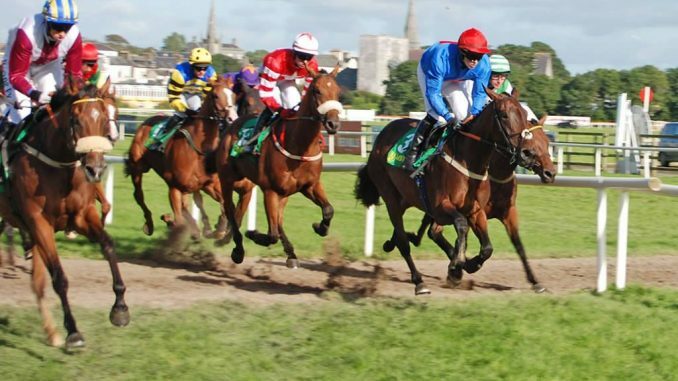 Often, the weather is quite good for the Listowel Races, but even if it is not, the crowds enjoy the racing and the carnival atmosphere which includes a funfair, music in the pubs and on the streets, street entertainment, theatre and general fun an merriment. For the week of the races accommodation is usually fully booked out far in advance and latecomers will find it almost impossible to get any accommodation in the town. Racegoers planning to go to Listowel for the races it is essential that you book well in advance if you want to stay in or near the town. Many visitors get accommodation in Ballybunion, Ballylongford, Tarbert, Abbeyfeale or Tralee all of which are no more than a half hour drive away. Best of luck from Stay in Kerry to all Listowel Races Visitors!